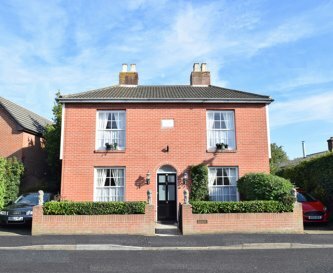 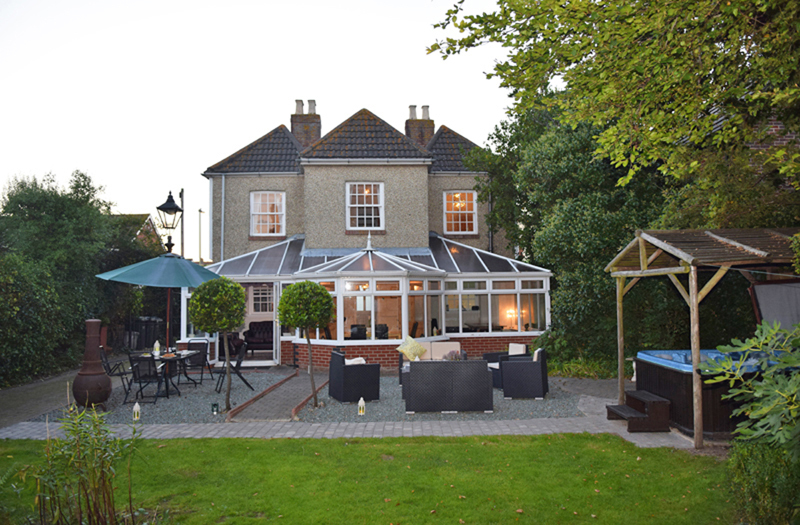 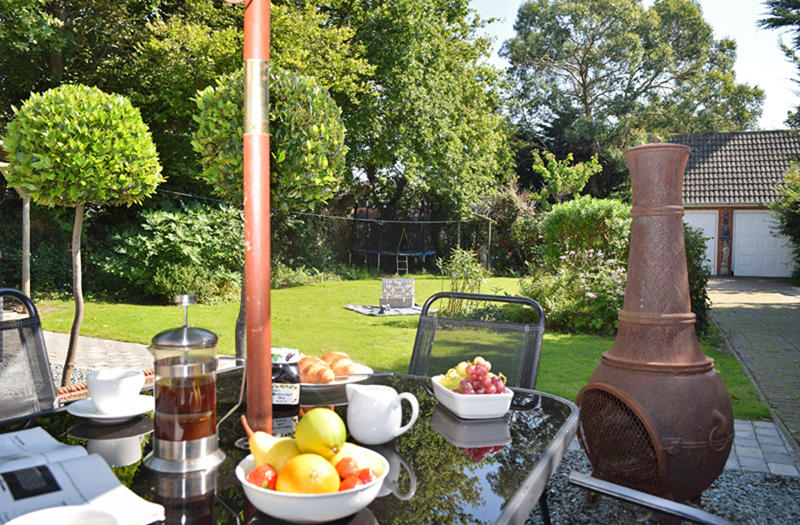 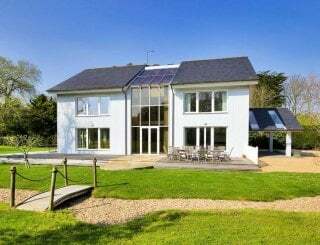 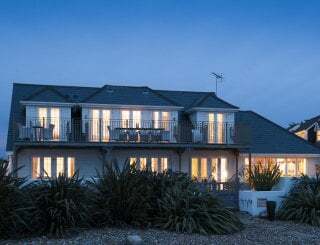 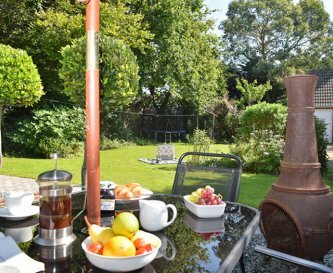 Cambrian House, Gosport, Hampshire, sleeps 8-10 in 4 bedrooms. 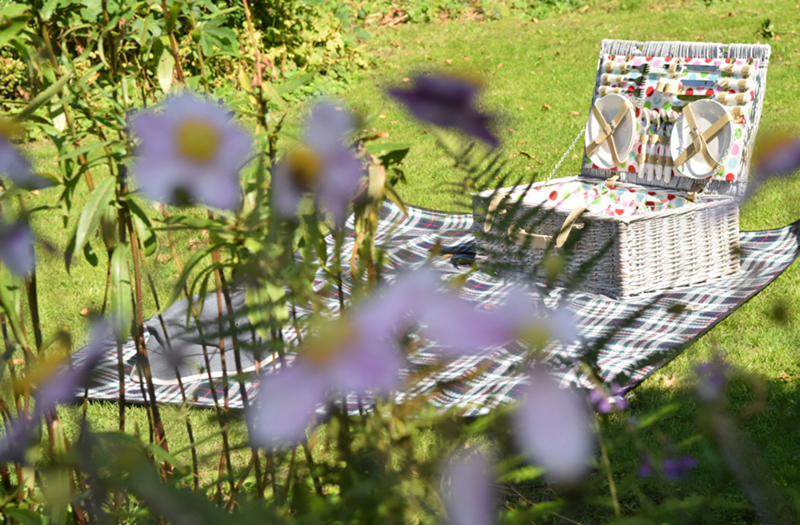 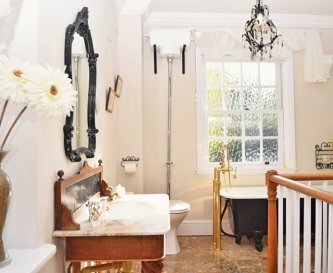 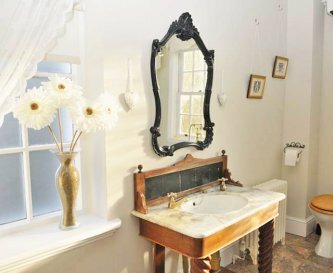 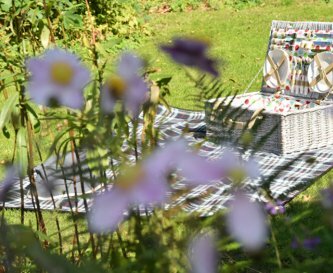 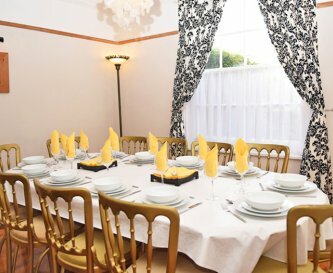 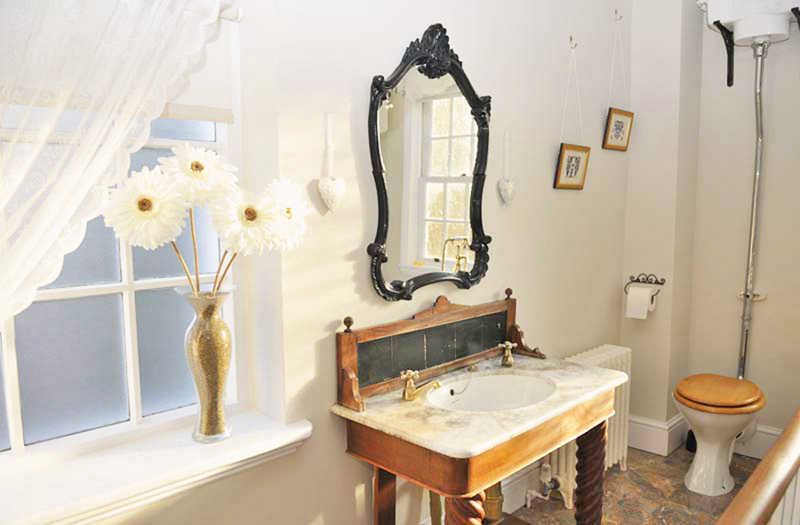 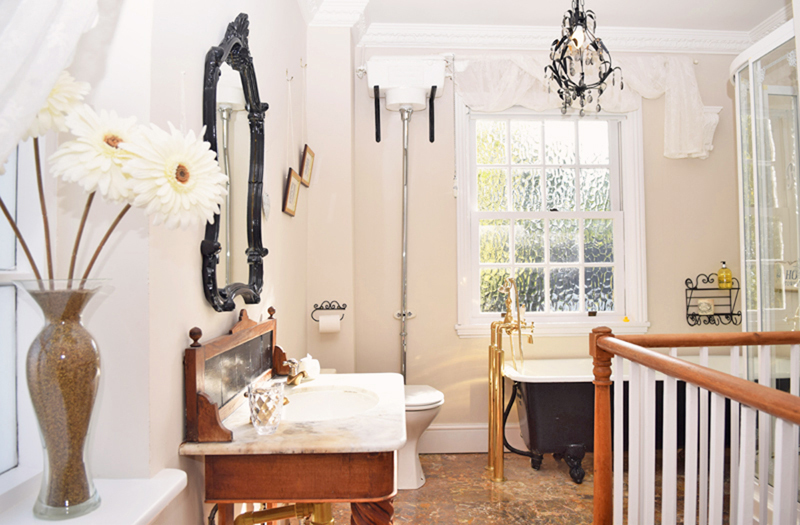 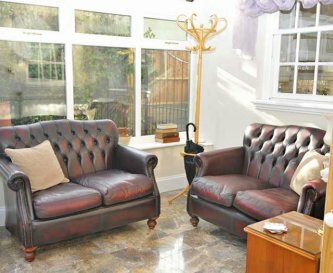 Cambrian House is a Victorian property sleeping 10 with chair beds available for additional guests. 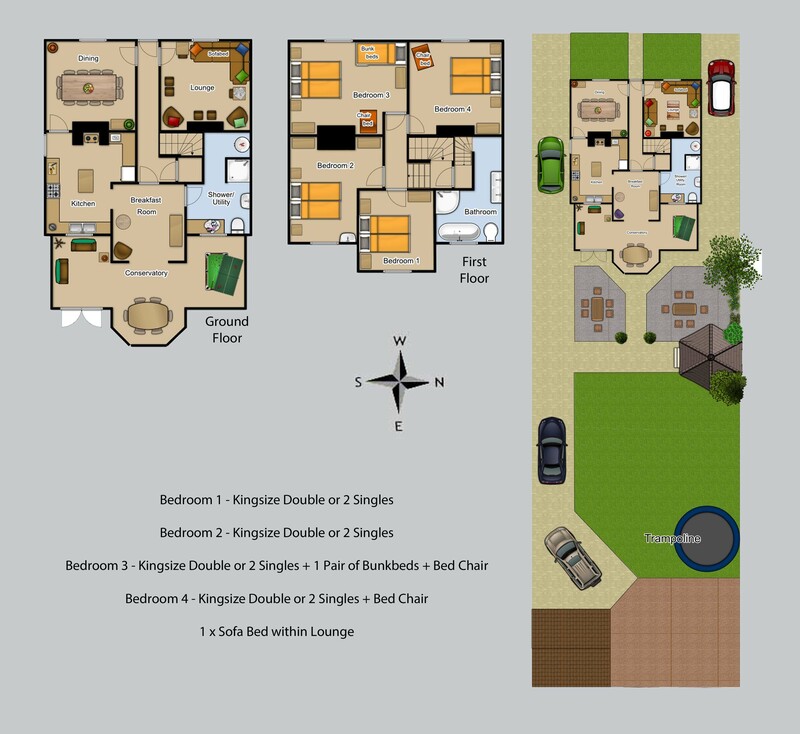 The 4 bedrooms each house king-size double beds which can be separated to offer 2 single beds. 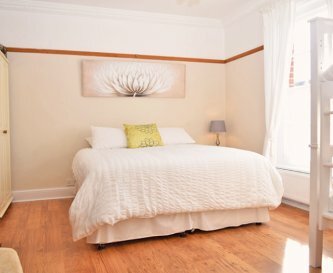 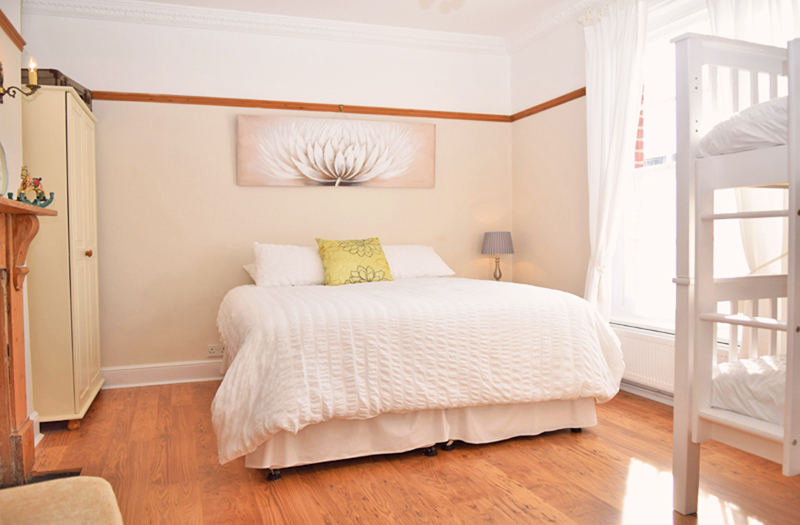 Two bedrooms are 'family' rooms able to sleep 3, 4 or 5 guests. 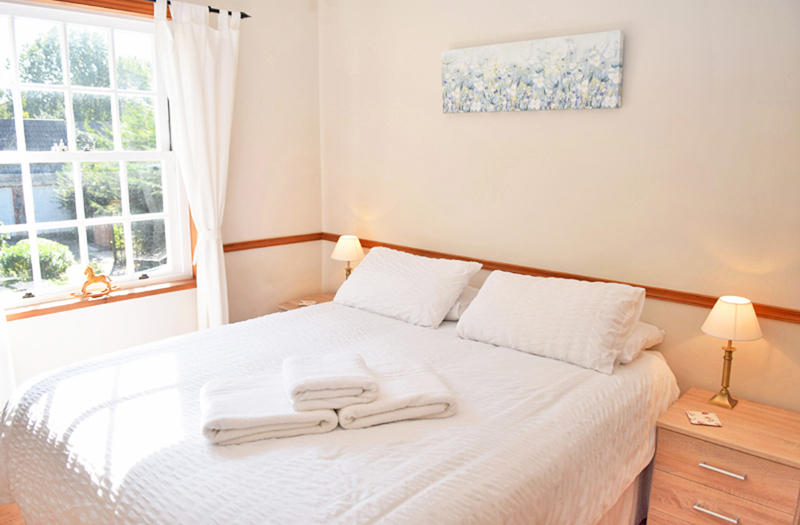 Each bed is made up with crisp white cotton linen and fresh white towels for all guests. 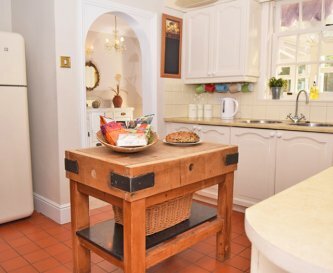 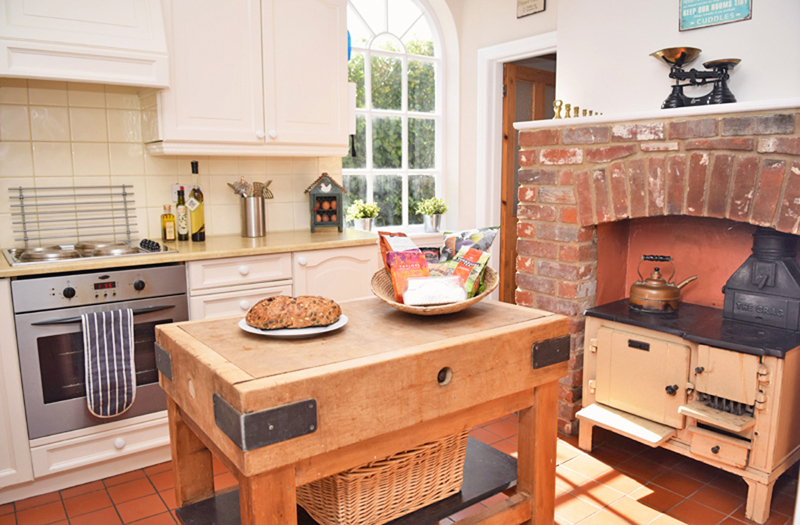 The kitchen is fully equipped for self catering parties with a vintage style fridge freezer, an original centre isle butchers block chopping table plus all the 'essential' mod cons. 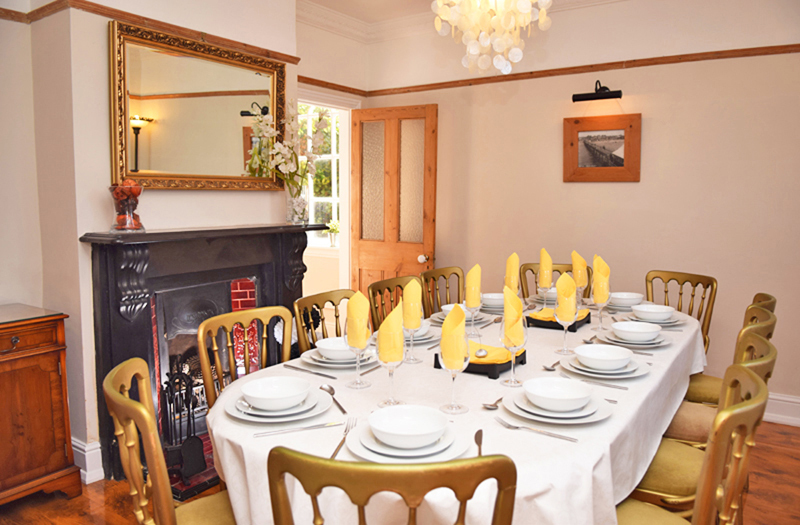 The kitchen is situated next to the dining room where you will find a large dining table to seat 12. 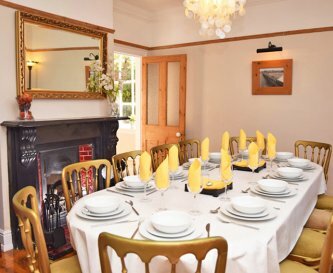 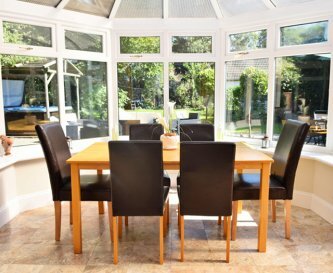 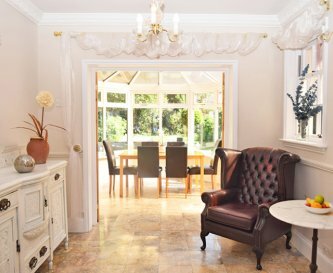 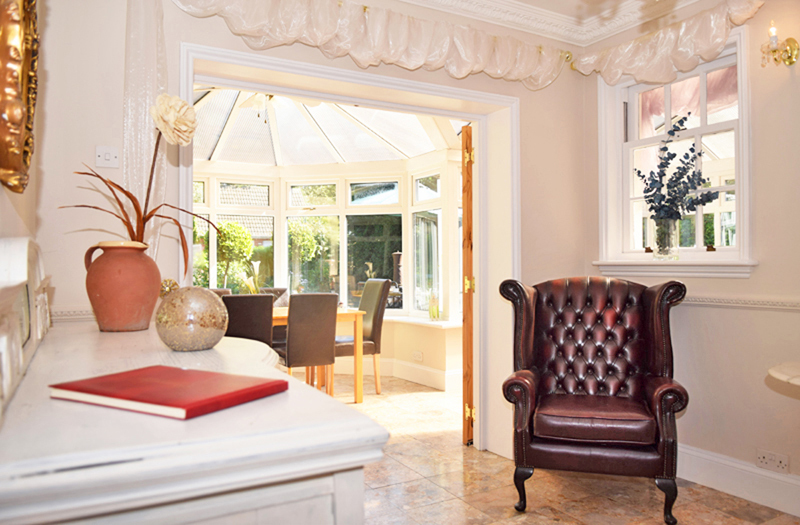 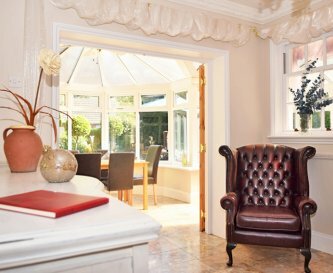 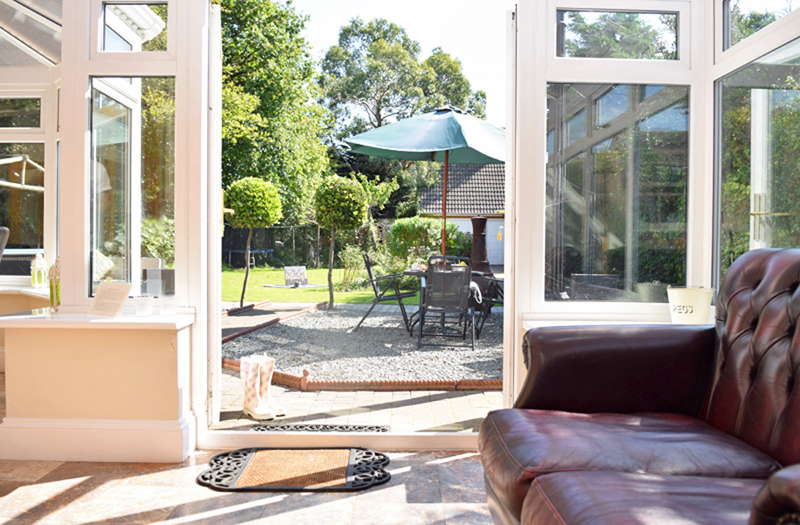 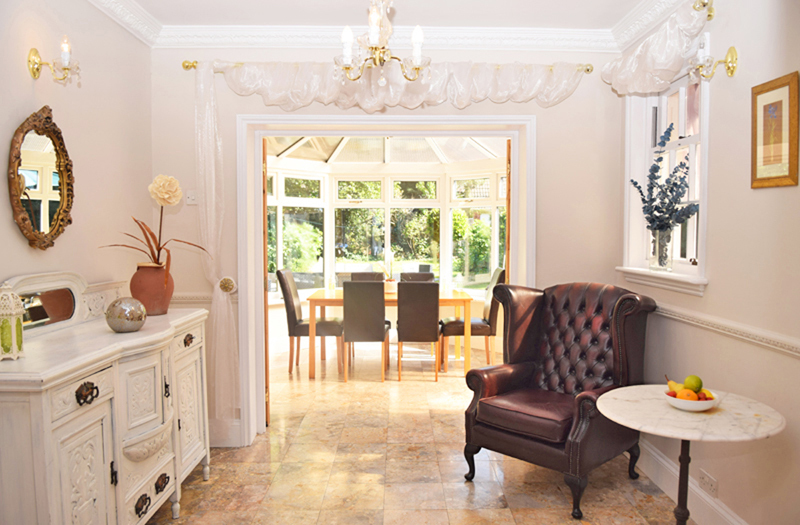 Also off the kitchen is a comfortable sized breakfast room leading out into a gorgeous conservatory where you will find another table and 6 chairs plus two 2-seater leather sofas and a 5ft pool/snooker/table tennis table to keep everybody amused! 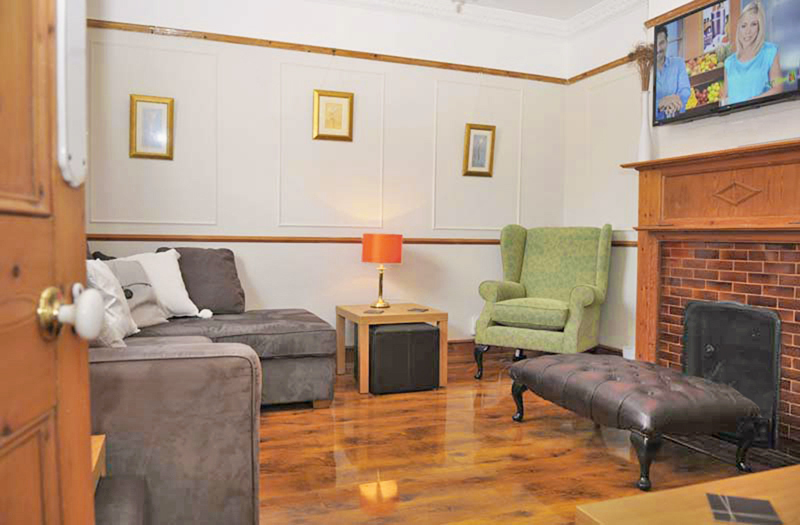 The lounge (opposite the dining room) also seats up to 12 with a large flat screen TV, DVD and Nintendo Wii. 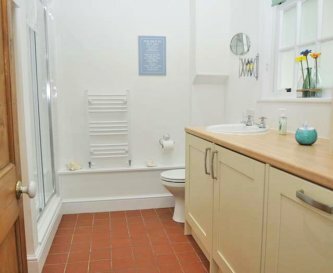 The 2 bathrooms both have fitted showers and the main bathroom is home to a large roll top bath, again with all towelling provided. 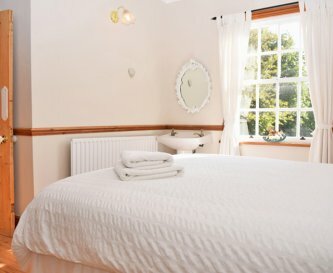 All linen and towels provided are changed weekly with a mid week maid service available upon request. 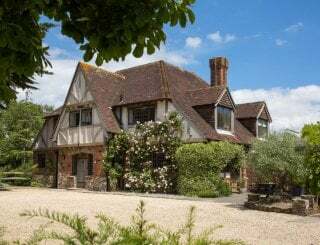 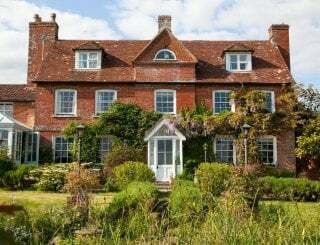 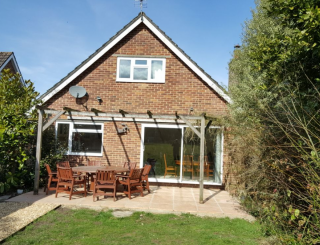 Finally there are the gardens; the front garden is laid with pea shingle and border shrubs, while the rear is accessed from gated driveways either side and French doors opening out from the conservatory. 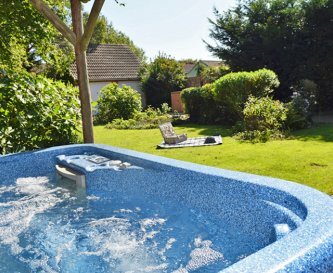 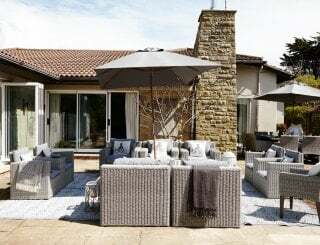 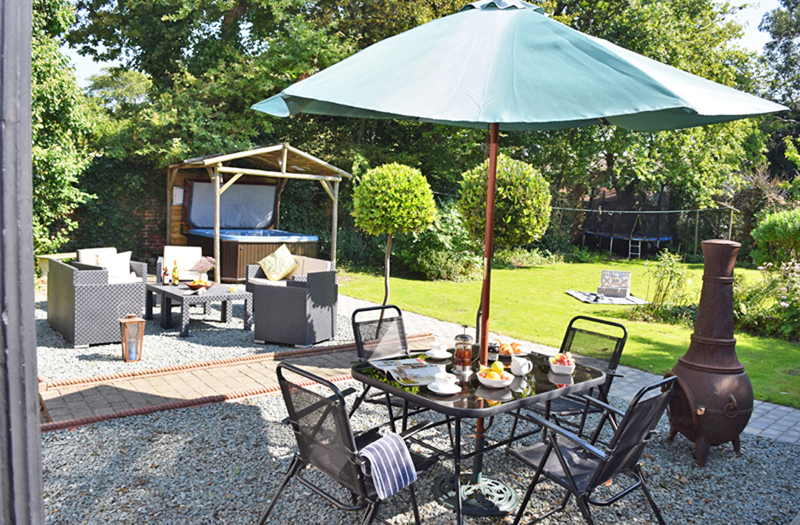 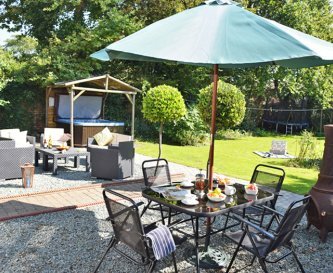 The back garden has tables, chairs, a lawned area, hot tub, (please contact us for availability and costings as this is an additional extra), trampoline. 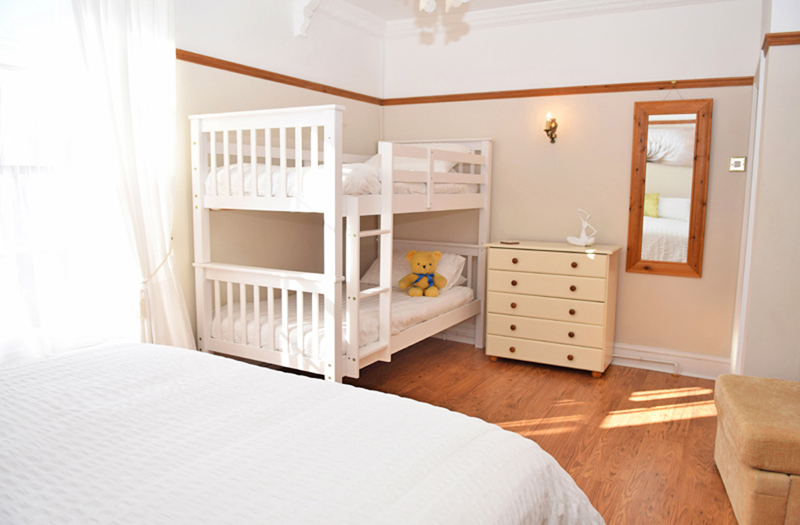 Child cots, high chairs and stair gates also available at no extra cost. 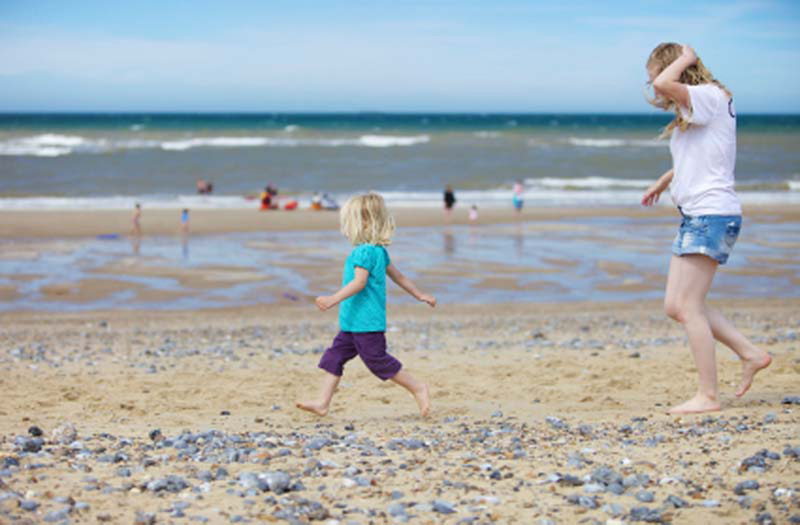 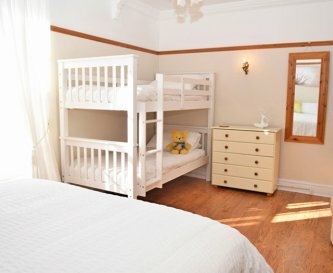 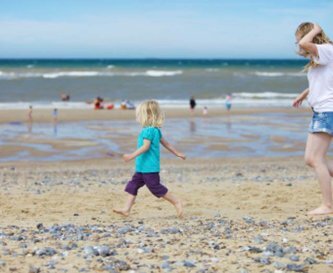 (If cots are provided guests are asked to please bring their own child's bedding). 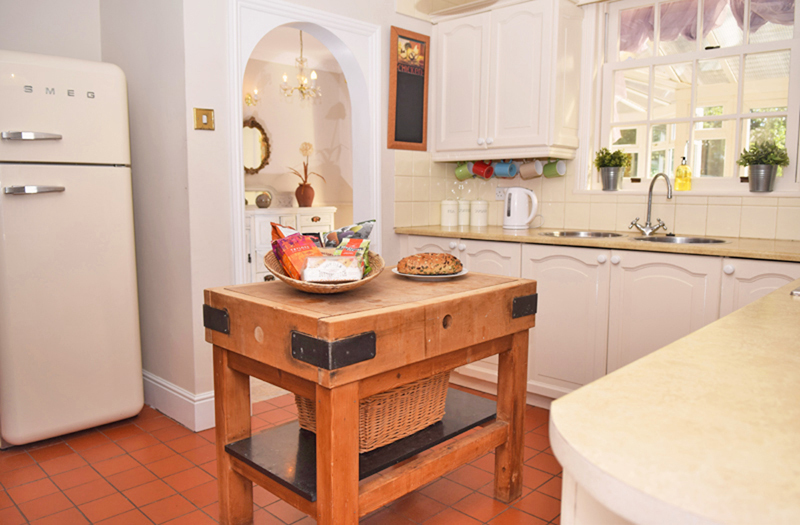 Fitted kitchen, fully equipped for self catering. 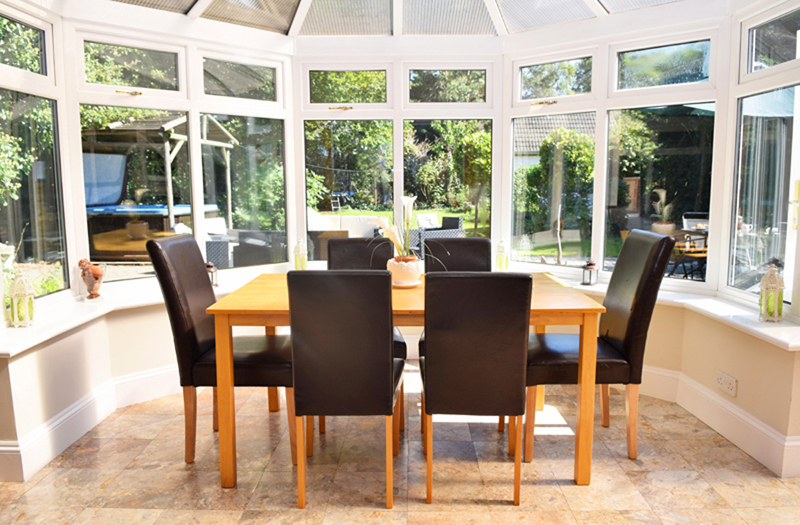 Dining room (seating 12) is situated just off of the kitchen. 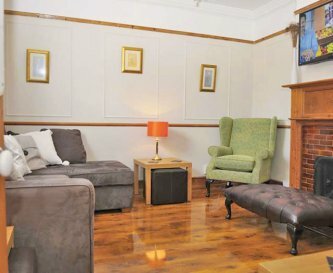 Comfortable lounge with seating up to 12 with a large flat screen TV. 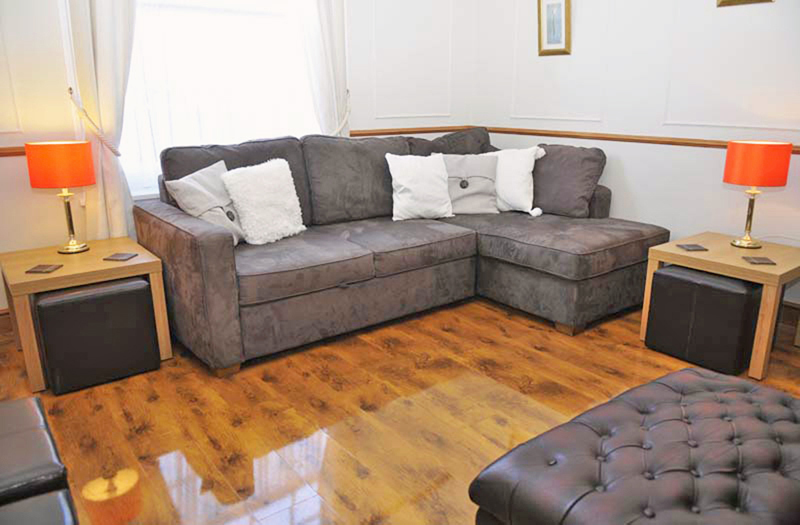 Wireless Broadband, radio/CD and iPod docking station are located within the property. 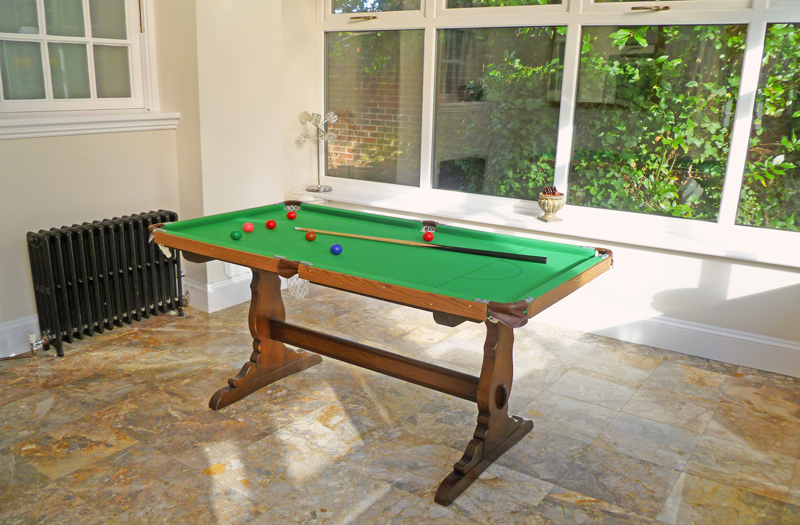 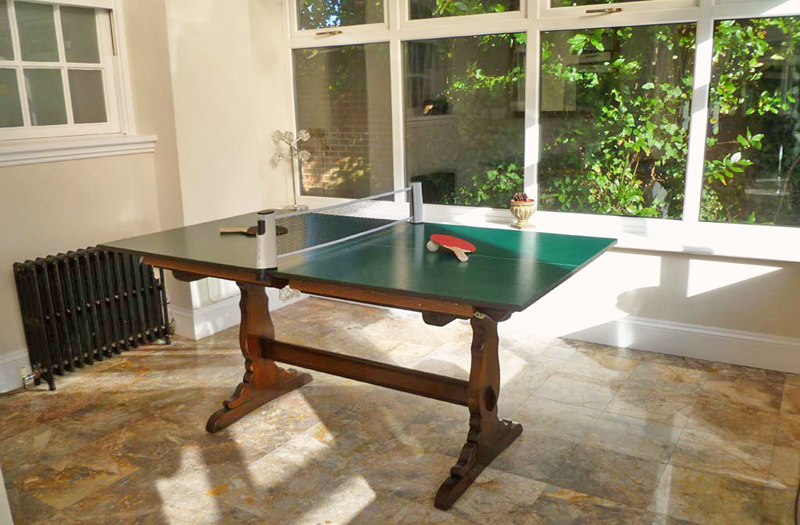 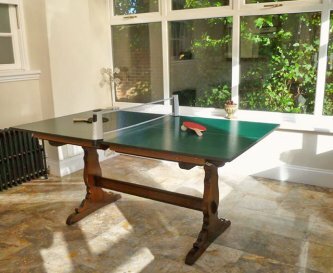 A 5ft pool/snooker/table tennis table is located in the conservatory. 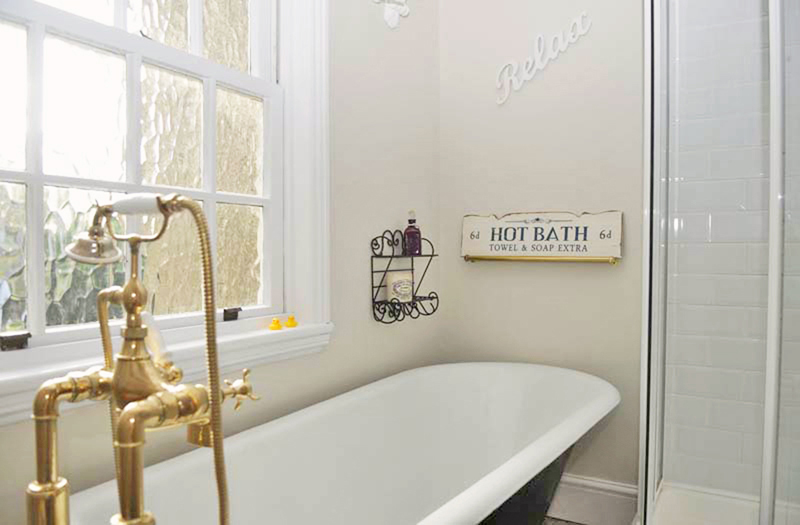 Central heating for those colder days and nights. 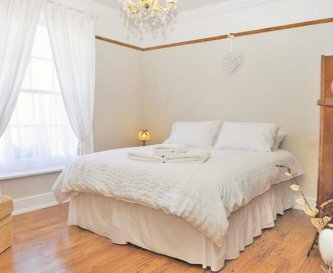 4 quality king size double beds which can separate to create 2 singles plus a pair of bunk beds. 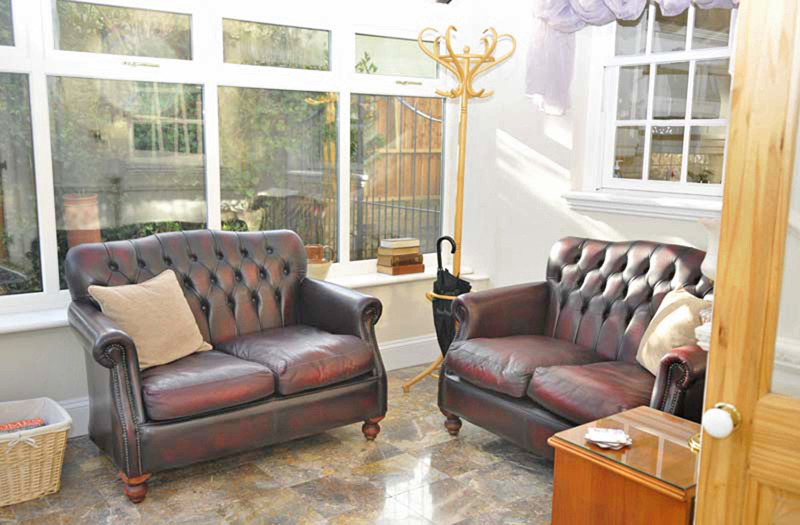 Extra chair beds and sofa bed available. 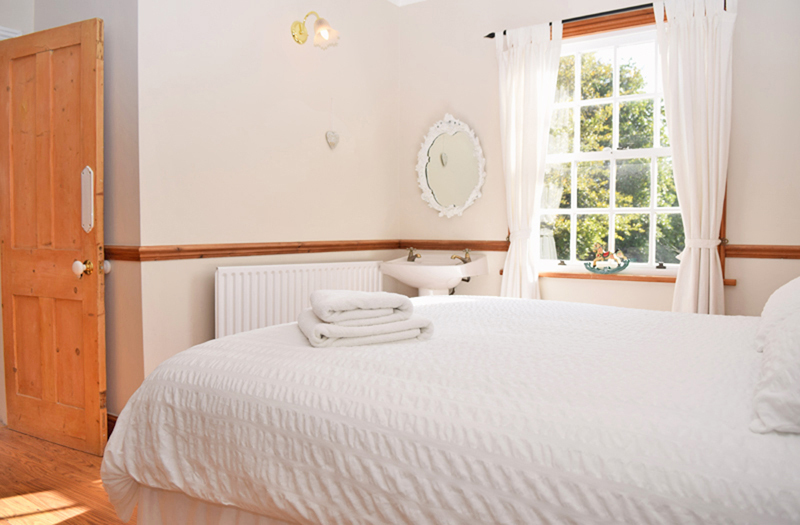 Linen and towels are provided and are changed weekly with a mid week maid service available on request. 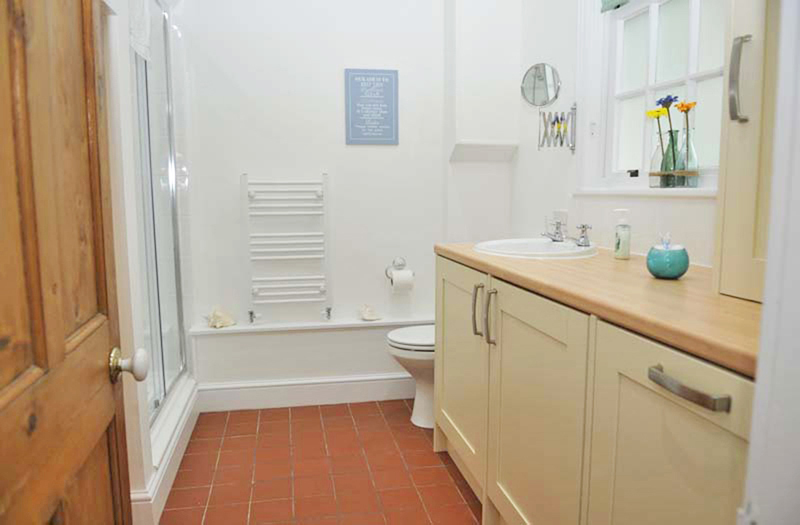 The 2 high spec bathrooms both have quality fitted showers and the main bathroom is also fitted with a large roll top bath. 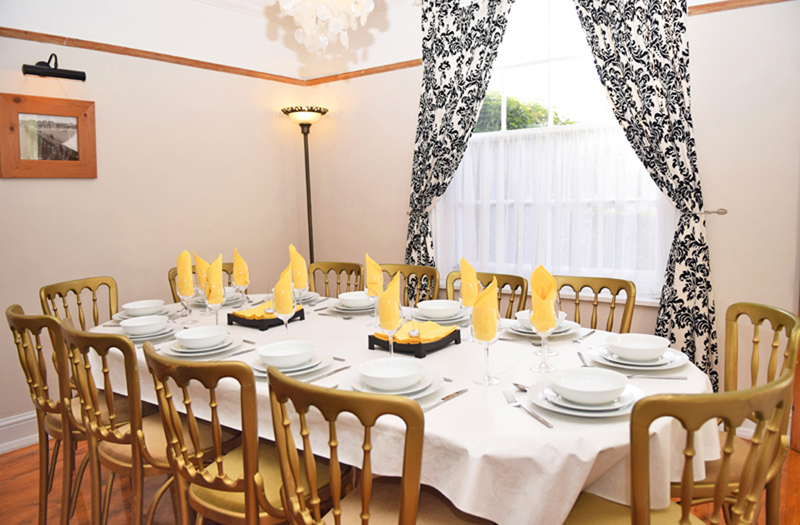 Child cots, high chairs, stair gates are available at no extra cost. 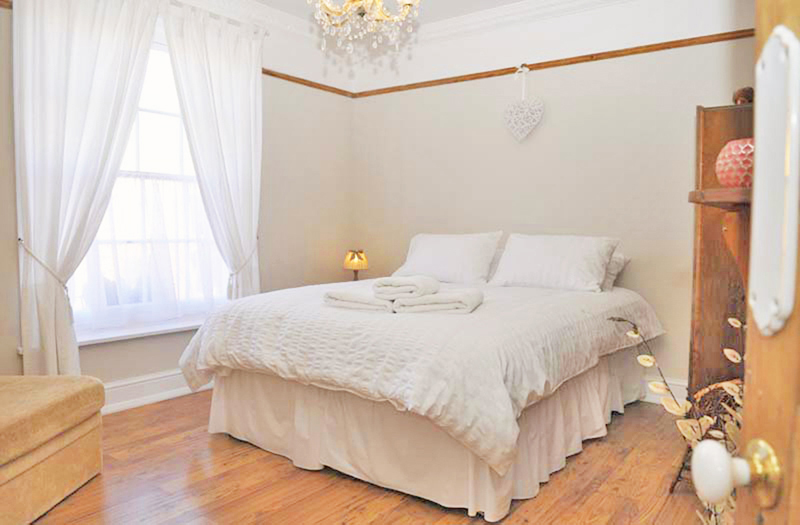 (If cots are provided guests are asked to please bring their own bedding). 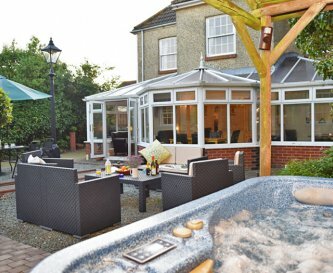 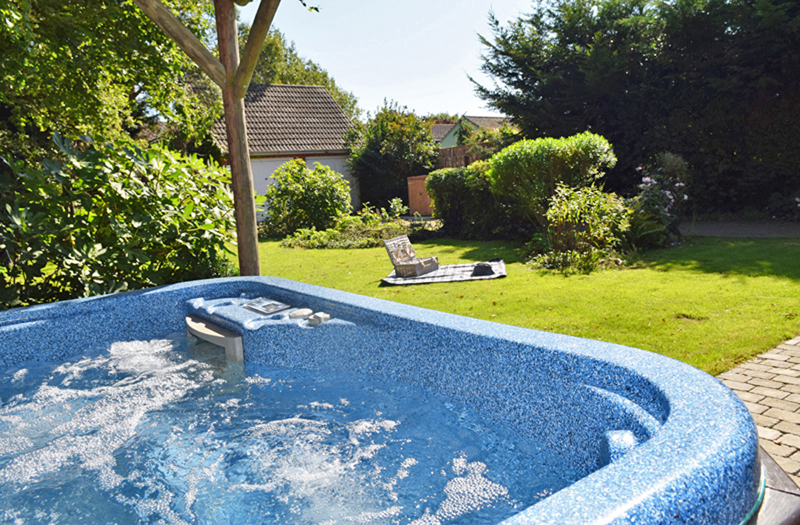 Facility for a hot tub, (please contact us for availability and costings as this is an additional extra). 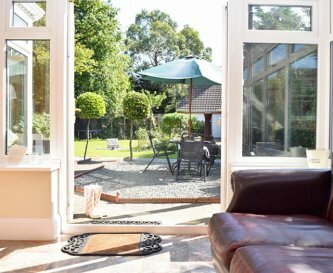 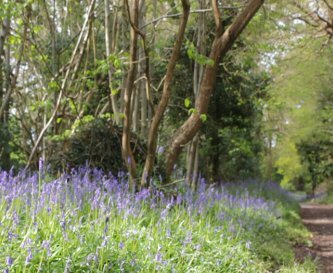 There is ample off road parking either side of the property with spaces for up to six small to medium sized cars. 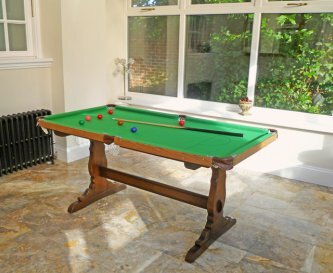 Smoking is to be kept outside only. 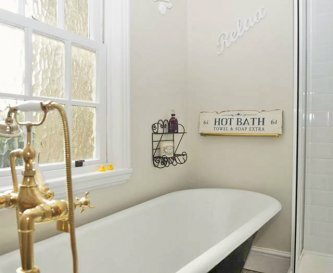 Pet friendly (additional deposit required). 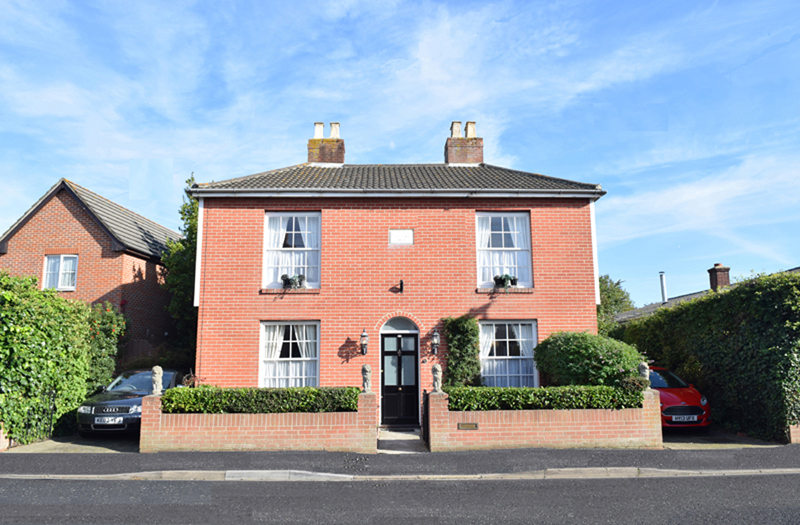 Close proximity to Portsmouth's Historic Dockyard, home to The Mary Rose, Nelsons HMS Victory and the HMS Warrior is part of its appeal. 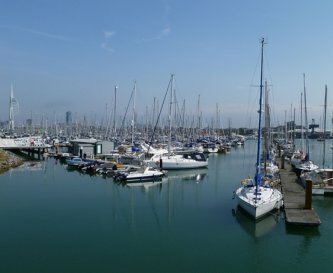 Gosport Town - leading to the Gosport and Portsmouth passenger ferry. 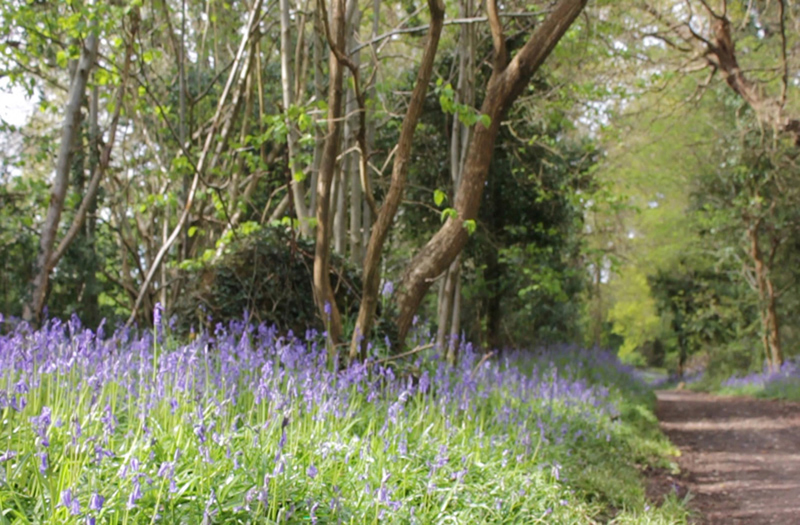 A local convenience shop is a short walk away. 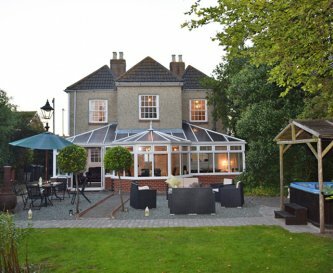 The 'local' pub is a 5 minute walk away. 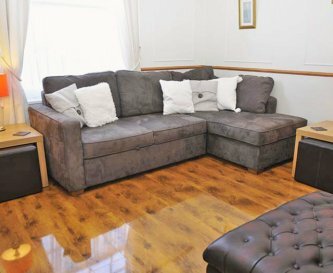 Prices given are for 10. 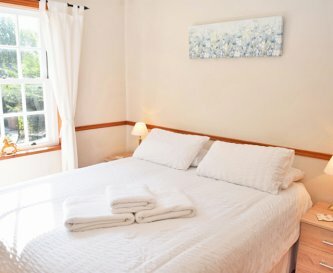 Additional guests are charged at a rate of £25 per week/part week per head or we charge £25 per set of extra linen requested. 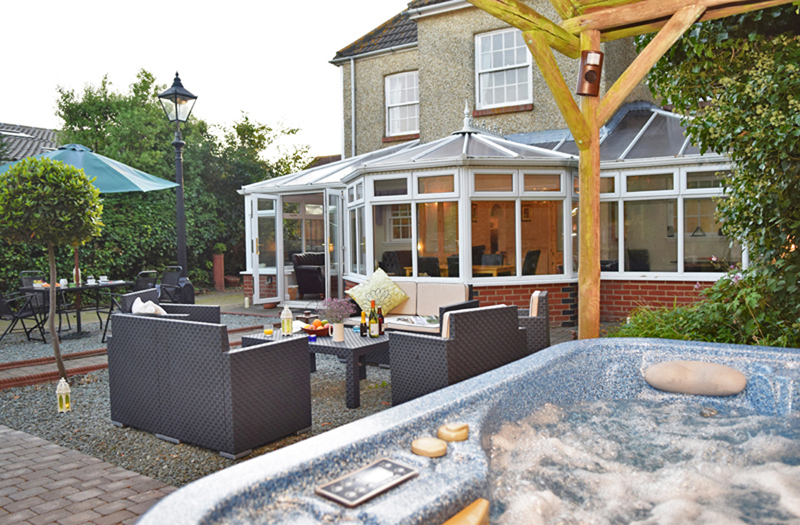 Please feel free to contact us for more details of price and availability. 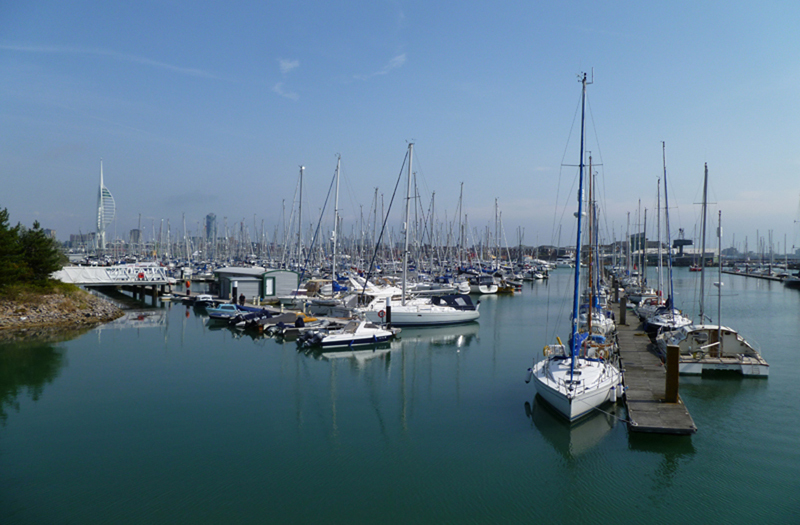 Portsmouth Harbour - approximately 1.2 miles away. 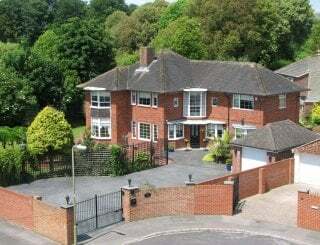 The bus route passes the property. 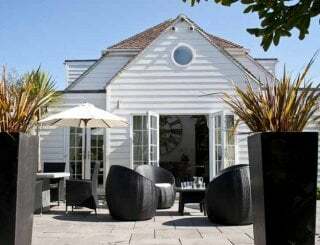 Southampton Airport - approximately 20 miles away.